Beset by a chronic illness and often in pain, John T. Brush was not an obvious candidate for a leadership role in turn-of-the-century baseball. But Brush’s afflictions camouflaged a fiercely competitive spirit and a will of iron. For 25 years he was the most influential club owner in the National League, a champion of causes that affected, for both good and ill, the fortunes of the national pastime in its turbulent early years. A self-made man, Brush had risen from the rural poverty of upstate New York to become a prosperous mercantile and civic leader in his adopted hometown of Indianapolis. Not an athlete himself, John T. first seized upon baseball as a vehicle for advertising his retail clothing business. But in time he developed an abiding passion for the game, eventually relinquishing oversight of his business to others in order to devote his energies almost entirely to the operation of major-league teams, first in Indianapolis, then Cincinnati, and ultimately New York. Once Brush became active in baseball, the only competitor for his time and affection was family. A guarded, humorless man in conference with his peers or in dealing with the sporting press, he could be surprisingly convivial in private, particularly when in the company of trusted friends and family. And John T. was never more at ease than when in the company of the important women in his life: second wife Elsie Lombard Brush (pictured at right), elder daughter Eleanor Brush Hempstead, and Eleanor’s 25 years younger half-sister, Natalie. Although not constant influences, the Brush women occasionally assumed significant roles in the events that shaped the Brush legacy — to date an aspect of the magnate’s life neglected in assessments of his place in baseball history. This essay is an attempt to fill that void. John Tomlinson Brush was born on June 15, 1845, in Clintonville, New York, a remote upstate hamlet situated near the Canadian border, and was descended from Scotch-Irish stock.1He was born into a family that had just lost its breadwinner. His father, also named John Tomlinson Brush, had died a month earlier at the age of 35. Soon thereafter, widow Sarah Farrar Brush and her four young children relocated to the village of Lawrence, New York, where Sarah succumbed shortly after the 1850 US Census was taken.2 The Brush orphans were then taken in by grandfather Eliphalet Brush and his second wife, Melinda Pier Brush.3 Work on the Brush farm in Hopkinton was hard and the accommodations spartan. Cramped living quarters required young John and his brother George to sleep in a barn. Escaping rural drudgery at 17, John took a short course of study at Eastman’s Business College in Poughkeepsie, New York, winning a $25 prize for a pen sketch of an eagle.4 Thereafter, he proceeded to Boston, where he got his first taste of the retail clothing trade. On September 2, 1864, 19-year-old John T. Brush enlisted as a private in the 1st New York Artillery Regiment and likely saw action at the Civil War front. Mustered out unscathed in June 1865, Brush proceeded to Troy, where in time he was befriended by George Pixley, a principal in the newly formed retail clothing business of Owen, Pixley & Company. Within a few years, Brush advanced from clothing salesman to store manager to firm partner in Owen, Pixley. Somewhere along the way he met Margaret Agnes Ewart, a woman about whom little is known except that she was born in upstate New York and married John T. Brush on October 18, 1869. One intriguing but unsettled detail about the first Mrs. Brush is her age. In the 1880 US Census, Margaret Brush is estimated to be about 27 years old, which would have made her a 16-year-old bride in 1869. (This was not particularly remarkable for the time.) But New York pioneer family historian Carlton E. Sanford and Brush family tree poster Vicki Corkhill give Margaret Agnes Ewart a precise birthdate: December 26, 1855. If true, that would indicate that John T. Brush married a 13-year-old. And that this child bride began bearing his children at a tender age, delivering daughter Eleanor Gordon Brush (pictured at right) in Albany on March 18, 1871, at the age of 15. The Brush family women appear to have played no role in John T. Brush’s entry into baseball. Local legend has it that Brush first became enthusiastic about the game after reading a Spalding Guide confiscated from an idle store clerk. Or that Brush’s interest stemmed from acceptance of stock in an Indianapolis ballclub as payment for a debt. The facts are more prosaic. Brush was first exposed to baseball while working at company stores in upstate New York, a hotbed of the early game. Later he seized upon baseball as a vehicle for advertising the When Store. In 1882 Brush organized a municipal baseball league, building a diamond with a grandstand in northwestern Indianapolis for league games and engaging Jack Kerins as player-manager of the When Store team. When the major leagues mushroomed in 1884 in response to the Union Association threat, Brush and other local investors gained an American Association franchise for Indianapolis.10 The Hoosiers were a noncompetitive (29-78) 11th-place finisher in the swollen 12-team league and were eliminated from the American Association in the league contraction after the season. But the dismal performance of the Indianapolis nine was no discouragement to John T. Brush. He had become smitten with baseball. Determined to remain involved with the game, Brush backed an Indianapolis team in the newly formed Western League. Outclassing the competition, the club record stood at 27-4 when the Western League collapsed in early July of 1885. Brush then made overtures toward acquiring the National League’s Detroit Wolverines, but was rebuffed. He and other Indianapolis investors had better luck purchasing the financially ailing National League St. Louis Maroons. Taking title in late 1886, the Brush group immediately relocated the franchise to Indianapolis, where John T. assumed the post of club president. On the domestic front, meanwhile, Brush and Eleanor lived comfortably in an Indianapolis mansion. In time, nieces Carrie and Cora Brush joined the family household.11 Sometime during this period, however, a silent, existence-altering event occurred in the life of John T. Brush. He contracted syphilis. Largely untreatable at the time, the disease would manifest itself in the form of locomotor ataxia, a painful wasting disorder that slowly disabled Brush’s legs and inflicted other miseries.12 Signs of the disease were evident by 1890 and Brush’s health entered a slow but irreversible decline. In addition to guiding the fortunes of the Indianapolis club, Brush threw himself into the administration of the National League, sitting on various policymaking committees. The adoption of one Brush initiative by the league, a tightfisted player salary classification plan, was a major cause of the player revolt that led to the debilitating Players League War of 1890. Ironically, Brush himself was among the first casualties of that conflict, with the NL liquidating his Indianapolis franchise as a preemptive wartime measure. But Brush had no intention of being forced out of the game. He exacted stiff reparations from the league, remained a member of the National League ownership council, and obtained the promise of the next available National League franchise from fellow magnates. Then, in July 1890, he took a stake in the New York Giants by accepting club stock in lieu of payment for players under contract to the defunct Indianapolis club who had been transferred to the roster-depleted Giants. By April 1891 Brush was back in National League ownership ranks as president and majority shareholder of a reorganized Cincinnati Reds franchise. For the next decade Brush served as a convenient target for the brickbats of local sportswriters and Reds fans aggrieved by the lackluster play of his also-ran Cincinnati teams. Diversion from the disappointments occasioned by the Reds’ lack of success took an unlikely form: a young stage actress who would become the second Mrs. John T. Brush. Elsie Boyd Lombard was born in Baltimore on November 26, 1869, the only child of George Washington Lombard and his wife, the former Anna Snow Claridge. 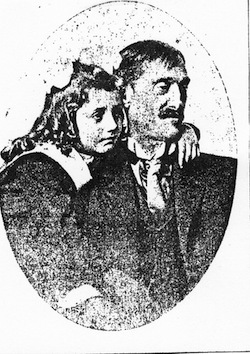 George Lombard, the manager of the Western Union telegraph operation in Baltimore, was stage-struck and had his daughter on the boards while she was still a teenager. 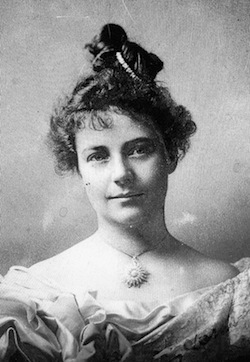 Elsie progressed from ingénue to supporting player to female lead in various stock companies, including the prestigious Lyceum Theatre Company of New York. In early 1894 Elsie appeared in a production entitled A Temperance Town.13 Among the patrons was theater lover John T. Brush. Immediately drawn to her, Brush began paying court to the actress. A handsome woman if not a beauty, Elsie did not lack would-be suitors, but her father had always kept them at arm’s length. But George Lombard had died the previous fall, leaving the path clear for a new beau, one twice Elsie’s age. When the couple was married on June 6, 1894, the groom was almost 49 years old. The bride was 24, or only 16 months older than Eleanor Brush. In a late-life interview with the Indianapolis Star, Natalie Brush de Gendron ungallantly implied that her mother’s acceptance of John T.’s marriage proposal was prompted by her desire for security, not romance.14 Whether true or not, Elsie Brush would prove devoted to her husband. Later the same year, Eleanor Brush married Harry Newton Hempstead, then a 26-year-old executive with a freight transportation company. A man of principle and sound, if cautious, judgment, Hempstead would become invaluable to John T. Brush, in time serving both his business and baseball interests. In January 1896 a new daughter entered Brush’s life: Natalie Lombard Brush (pictured at right).15 Whatever the unhappiness at the ballpark, John T. reveled in his new family life. His young wife excelled as a hostess and the Brush estate, renamed Lombardy in her honor, was a frequent destination for theatrical stars (Sarah Bernhardt, Henry Irving, Ellen Terry) and literary lions (Arthur Conan Doyle, James Whitcomb Riley) traveling through Indianapolis. In 1901 Brush severed the connection to Owen, Pixley and reorganized his retail business as the When Clothing Company, Inc. He then prevailed upon son-in-law Harry Hempstead to relocate to Indianapolis and assume effective control of corporate operations. Entrusting his business interests to Hempstead allowed Brush to concentrate on achieving his overarching ambition in baseball: ownership of the New York Giants. Brush, a minority shareholder in the Giants club since July 1890, had long coveted the franchise. Since January 1895 the Giants had been controlled by Andrew Freedman, an able but volatile New Yorker who had made a fortune in real estate and municipal finance. Brush and Freedman were frequently at odds in gatherings of National League team owners, and had once even come to blows in a Manhattan Hotel. But the two had reached an understanding in October 1898 and had thereafter worked in concert, often to the dismay of fellow magnates and a hostile sporting press. Starting in 1900, Freedman and Brush collaborated on schemes – the contraction of the National League from 12 teams to eight, the elimination of syndicate club ownership, an ill-fated baseball trust plan, exclusion of New York from the American League – that left the baseball world in near constant turmoil.16 By 1902, however, Giants ownership had lost its charm for Freedman and he was preoccupied by other demands on his time, particularly myriad duties attending the construction of New York City’s first subway system. As soon as Brush could raise the necessary cash (by selling his majority interest in the Cincinnati Reds to local politicos), Freedman would transfer control of the New York Giants to him. But before the franchise changed hands, the two launched a devious plot to gut a prospective Gotham baseball rival, the American League team then playing in Baltimore. Assigned a small but pivotal role in maneuvers was none other than Elsie Brush. Key to the plan was the wooing of Orioles manager John McGraw, chafing under the disciplinary yoke of American League President Ban Johnson and fearful of being cut out of the anticipated removal of the Baltimore franchise to New York for the 1903 season. Under 15-day suspension by Johnson for abusing umpires, McGraw paid a discreet predawn visit to Indianapolis. To preserve the confidentiality of McGraw’s arrival, Brush dispatched his wife to pick McGraw up. An intimate carriage ride to Lombardy with the vivacious and worldly Elsie Brush rendered the quarry suitably weak-kneed and, in short order, John McGraw was secured as new Giants manager.17 By means equally clandestine, control of the Baltimore franchise was then rendered to Freedman, who promptly released the Orioles’ best players, including future Hall of Famers Roger Bresnahan, Joe McGinnity, and Joe Kelley. They and the others were then signed by either the Freedman Giants or the Brush Reds. Only swift and resourceful action by Ban Johnson acting under the league charter wrested the Baltimore franchise away from Freedman and preserved the Orioles for the American League and their long-planned removal to New York. In September 1902 John T. Brush became the majority owner of the New York Giants. He and manager McGraw quickly set about reversing the club’s recently dismal fortunes. The two men, both products of impoverished childhoods in upstate New York and intensely competitive, meshed perfectly. Brush left roster decisions and diamond strategy entirely to his manager and reaped almost immediate dividends. The Giants captured the NL pennant in 1904. But much of the luster from that accomplishment was lost when the club declined to meet the American League winners in a postseason championship match. The following year the Giants repeated as pennant winners and then captured the 1905 World Series, defeating the Philadelphia A’s in a celebrated all-shutout Series played under rules devised by Brush that remain largely in effect to this day. Although his baseball fortunes were ascending, Brush’s health was precarious. He was frequently ill, and by 1905, almost entirely wheelchair-bound. In a bow to his lack of mobility, Brush took to observing home games seated in his massive Deauville limousine, usually parked alongside the right-field foul line. Elsie Brush was often at John T.’s side, while daughter Natalie was permitted to sit in a field box but sheltered from the Giants players. The chivalrous Christy Mathewson was the only Giant whom Brush permitted to be introduced to the young and impressionable Natalie, much to her disappointment. Although retired from the stage, Elsie remained interested in the theater. In February 1910 she even made a one-performance comeback, playing a supporting role in a benefit staged for the Indianapolis Boys Club. 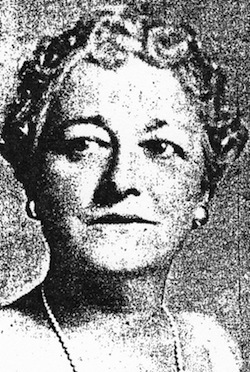 One more supporting role remained for Elsie Brush during her husband’s tenure as New York Giants boss. In April 1911 an early-morning fire almost totally destroyed Polo Grounds III (nee Brotherhood Park), the wooden ballpark that had served as the Giants’ home base for the past 20 seasons. Brush wanted to rebuild but, faced with his own fast-approaching mortality, had to weigh the likely $1 million cost of stadium reconstruction against the future financial needs of his family. Thus, he would not go forward with rebuilding plans unless Elsie approved. Happily for New York baseball, she did. And within less than two months, the Giants were playing home games in a new concrete and steel ballpark, the iconic bathtub-shaped Polo Grounds IV. An attractive 43-year-old woman at the time of her husband’s death, Elsie Brush never remarried. As Elsie Lombard, she returned to her theater roots, appearing on stage in matronly roles into the early 1930s. Elsie also served as chairwoman of the Sconset Casino (Nantucket Island) movie committee for many years. She died in Fort Lauderdale, Florida, on December 28, 1957. Elsie Lombard Brush was 88 years old. Her daughter Natalie led a long and lively life. She made her society debut in 1915, and thereafter attended Columbia University, the New School for Social Research, and the City College of New York, but never graduated. In the 1920s Natalie was active in the Junior League of Indianapolis, eventually rising to the post of national vice president. In 1925 she married hotel owner A. Bennett Gates but the union ended in divorce. Forty years later, a brief second marriage to Rene de Gendron was also unsuccessful. Although she was only 16 years old when John T. Brush died, Natalie revered her father’s memory and took steps to preserve it. Shortly after his passing, half-sister Eleanor had destroyed their father’s private papers, lest they someday fall into the hands of an unfriendly journalist. Thus, much of what survives about the personal life of John T. Brush derives from the 1975 interview that Natalie provided to the Indianapolis Star. She also collected the obituaries and remembrances that now constitute the John T. Brush file maintained by the Indiana Historical Society. Late in life Natalie turned novelist, penning two published Cold War spy thriller-romances under the name Natalie Gates.23 Natalie Lombard Brush Gates de Gendron died in her Manhattan apartment on June 16, 1980, age 84. Childless, she was survived by stepdaughter Marjory Gates Wilson. In the history of the game, Elsie Lombard Brush, Eleanor Brush Hempstead, and Natalie Brush de Gendron hardly rate a footnote. But each exerted at least some degree of influence upon the life and legacy of John T. Brush, a truly important figure in turn-of-the-century baseball. If for that reason alone, the Brush family women are worthy of remembrance. 1 Grandfather Eliphalet Brush (1781-1872) and his six brothers all lived exceptionally long lives. Each of the Brush brothers survived to attend a family reunion held in June 1870, the youngest of their number (George Brush of Montreal) then being 77 years old. See Carlton E. Sanford, Pioneer Families: The History of the Village of Hopkinton (Boston: Bartlett Press, 1903). Other sources of biographical information for this profile include the John T. Brush file at the Giamatti Research Center, National Baseball Hall of Fame and Museum, Cooperstown, New York; the John T. Brush and Natalie Brush Gates files maintained by the Indiana Historical Society; US Census data; the Brush family tree posted by Vicki Corkhill on http://www.ancestry.com, and the brief profile of John Tomlinson Brush by John Saccoman published in Deadball Stars of the National League, Tom Simon, editor (Dulles, Virginia: Brassey’s, Inc., 2004), and reproduced on the BioProject website. 2 John’s older siblings were George (1832-1902), Caroline (Carrie, 1840-1874), and Mary (1843-1858). 3 Eliphalet’s first wife, Polly Tomlinson Brush, had died in April 1810 giving birth to the original John Tomlinson Brush. 4 This is one of the intimate details of Brush’s life revealed by his daughter Natalie in a 1975 interview that formed the basis for “The Forgotten Indiana Architect of Baseball,” by Rick Johnson, Indianapolis Star Magazine, May 4, 1975. The far longer original manuscript of the Johnson magazine article is among the artifacts contained in the Brush file at the Giamatti Research Center. The Johnson manuscript is an invaluable resource for Brush researchers but must be used with care. Informant Natalie Brush de Gendron was a late-life child and much of what she related about her father was not based on personal knowledge, but on what others had told her about John T. Brush, some of which was wrong. 6 For more on the When Store, see The Encyclopedia of Indianapolis, David J. Bodenhamer and Robert G. Barrow, eds. (Bloomington, Indiana: Indiana University Press, 1994), 1424-1425. 7 In the 19th century considerable stigma attached to divorce, particularly for women, and divorcees often identified themselves as widows to census takers. 8 A search of newspaper archives by the staff at the Indiana State Library failed to uncover a published obituary for Margaret Brush (e-mail from Librarian Kimberly Brown-Harden to the writer, dated September 19, 2012). Stranger still, the Marion County Department of Vital Records has no death certificate for Margaret Brush (e-mail of department officials to the writer dated October 16, 2012). Thus, nothing is known of the cause or circumstances attending the death of the first Mrs. John T. Brush. All that can be said with surety is that she died at a young age. 9 According to Natalie Brush, her father’s first wife was interred in the Brush family plot for daughter Eleanor’s sake. Johnson, 17-18. 10 Although Brush was an Indianapolis resident at the time, the writer has found no evidence connecting him to the Indianapolis Blues, the one-year National League club of 1878. 11 Natalie Brush was under the misapprehension that Carrie and Cora were her father’s sisters. The two women were actually the daughters of George Brush, John T.’s older brother. 12 Also called tabes dorsalis, locomotor ataxia is a form of late-stage syphilis that attacks the spinal cord, causing degeneration of the nerve fibers, pains in the legs, paralysis of the leg muscles, acute abdominal pain, and other physical distress. Brush’s suffering, which he bore stoically for the last 20 years of his life, was routinely reported by the baseball press. Its underlying cause was never mentioned. 13 The playwright was Charles Hoyt, also the author of stage vehicles for King Kelly and Cap Anson. 15 By the time of his marriage to Elsie, Brush’s syphilitic condition was long past the infectious stage. And while impotence is often a symptom of locomotor ataxia, the birth of Natalie belies its presence in Brush’s case. 16 For a fuller exposition of the Freedman-Brush joint ventures, see “A Fearsome Collaboration: The Alliance of Andrew Freedman and John T. Brush,” by William F. Lamb, Base Ball, A Journal of the Early Game, Vol. 3, No. 2, Fall 2009, 5-20. 17 A fuller account of the enticement of McGraw is provided in Joseph Durso, Baseball and the American Dream (St. Louis: The Sporting News Pub. Co., 1986), 64-65. 18 For a more thorough treatment of the Hempstead tenure as New York Giants president, see the BioProject profile of Harry N. Hempstead. 19 The split in family ranks was not publicly disclosed until Natalie’s 1975 interview for the Indianapolis Star Magazine article about her father. See Johnson, 42-43. Eleanor Hempstead’s retention of her interest in the Giants franchise is substantiated by public remarks later made by her husband. After the Giants’ 1922 pennant-winning season, Harry Hempstead revealed that he (meaning his wife Eleanor) remained the third largest shareholder in the New York club. New York Times, October 26, 1922. 20 New York Times, June 13, 1924. 21 A shabby remnant of the flagship When Store in Indianapolis continued in operation under different owners until 1937. 22 Neither Gordon Brush Hempstead (1899-1953) nor John Brush Hempstead (1904-1972) had children of their own. Thus, John T. Brush has no living direct descendants. 23 Published in September 1967, Hush, Hush Johnson features “a kittenish dumb bunny who works at a defense plant” and falls for a welfare worker who is secretly a Soviet spy. The heroine of Dicey in Diamonds, released in May 1971, is Dr. Elsa White, “a spinsterish 28-year-old given to exclaiming ‘Heavens to Betsy’ ” while on the hunt for stolen gems. The online Kirkus Reviews, briefly excerpted above, suggest an amusing god-awfulness.